Park City, Utah, home to 3-world class ski resorts and averaging over 350 annual inches of snow, is truly a skiers paradise. Park City is also home to over 100 different restaurants and bars. You might also know Park City at the place of the Sundance Film Festival. Park City It is every bit the ski resort town that you imagine. Historic Main Street in downtown Park City is also just a mile away from The Radisson and the complimentary Park City local shuttle stops at the Radisson approximately every 20 minutes. (You will need to get help getting your wheelchair on and off the shuttle but they are very willing to help)- not accessible for scooters. I want to make note of the friendless of the people I met there. Utah is so warm and friendly, everywhere but Park City was the icing on the cake. 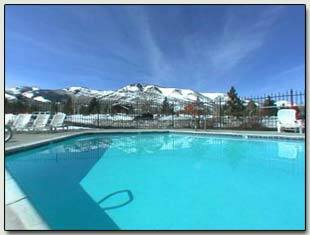 A super place to stay is the Radisson Inn Park City, a low rise Inn right on the main street going into town. The indoor pool was lovely, though no lift to get in so just remember that. The rooms are a good size and I could manage my large electric scooter around it. Decided to have room service the night we were there and the food was excellent and affordable. The have a wonderful onsite restaurant that has live entertainment in the evening, as well as an outside patio for eating. The Comfortable guestrooms feature work desks with Internet access, and all the necessities such as a coffee maker and even Nintendo game consoles. Though the rooms were on the small side they did handle my big scooter.